Poultry is a tweet collection manager. If you get a strange behavior, run poulry in the verbose mode by adding the -v flag to see the possible problems. The error above suggests that the Twitter credentials are incorrect. poultry can get data from several sources. It cat read the input from the standard input. It also can read tweets from files in a directory. -s option specifies which directory has to be processed by poultry. 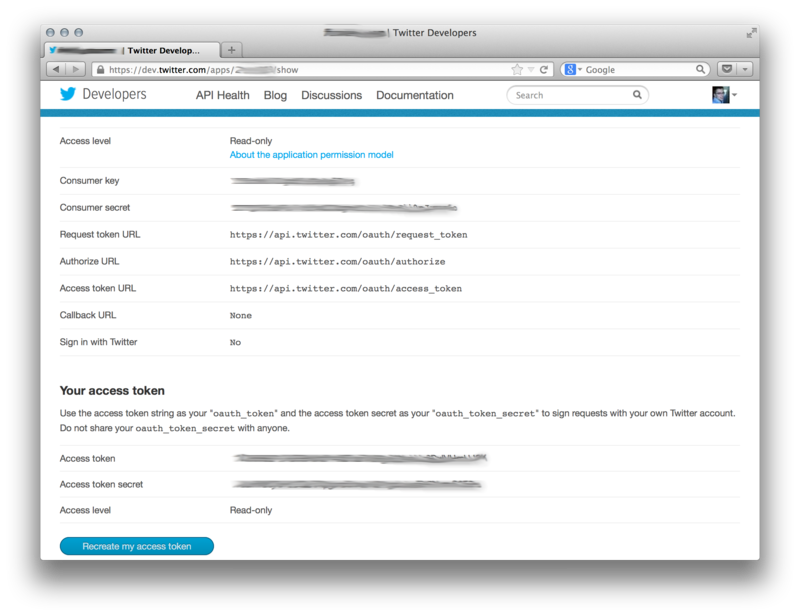 If the source starts with twitter:// then the Twitter Streaming API is used, see Twitter streaming API Stream capturing for more details. Sometimes it is necessary to group a tweet collection to files by tweet’s creation time. poultry group groups the tweets (either from the standard input or from the input directory to chunks which are written to files. -t defines the template. The default template is %Y-%m-%d-%H.gz which groups the tweets by hour and stores them in files in the current directory. follow IDs of the users of interest. In the configuration file one ID per line is expected. track a list of phrases that a tweet should contain to be filtered. In the configuration file one phrase per line is expected. locations a list of longitude, latitude pairs specifying a set of bounding boxes to filter tweets by. The South-West point of tweet’s place is used if its coordinate is not provided. It is possible to provide a desired language of the tweets using the language predicate. Note that language is an additional predicate. A main predicate has to be provided if the POST statuses/filter endpoint is used, however it can be the only predicate if filtering is done locally. Also, the language predicate has to be true in order for a tweet to belong to a filter. split_template defines the destination path of the filtered stream. Use -- to make it output to the console. This is useful in conjunction with the --filters parameter of poultry filter. Then you can have a general definition of a filter that, for example, selects the Dutch tweets and apply it to several collections by redirecting the standard output to different destinations. The --mode parameter for the filter subcommand that sets the file opening mode. Use w to rewrite the files and a (the default) to append. # A trick to be able to specify hashtags as individual tracking words. # Filter only by one word `work`. # The Netherlands are defined as two rectangles. # Request only the Dutch tweets from the location above. # see the top of the file for the hash definition. # Print all English and Russian tweets to the console. The main predicates (track, follow, locations) in the filter are ORed, meaning that a tweet to be filtered has to satisfy at least one predicate. language is ANDed afterwards. The directories defined in the split_template have to exist. Twitter provides several public streams. The most interesting are POST statuses/filter and GET statuses/sample. Ferry_Chai: @graciel_11 wkwkwkw sama aja boong --"
Boleh kok boleh ka"@ekhaasyari: @deidrays dih gaboleh tah?"